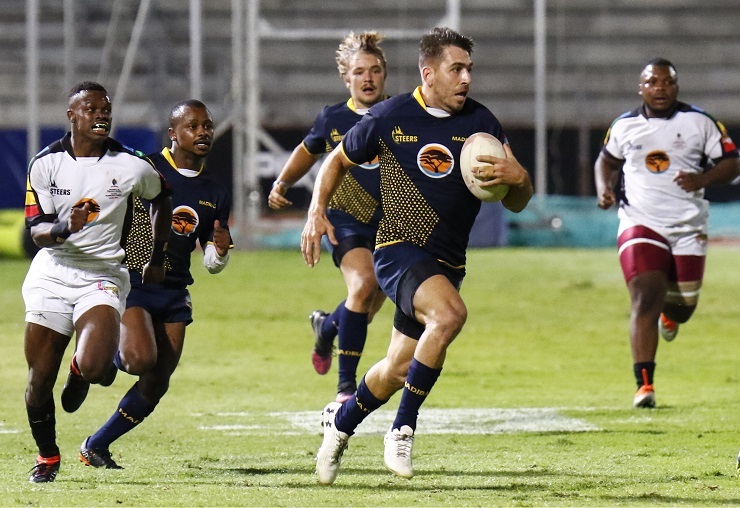 FNB Madibaz rugby captain Riaan Esterhuizen says his team are excited about playing in this week’s FNB Varsity Shield final and are ready to embrace the challenge. The Nelson Mandela University outfit face Cape Peninsula University of Technology in the decider at the Madibaz Stadium in Port Elizabeth on Thursday, kicking off at 6.15pm. Although many of the players in a relatively young team have not appeared in a play-off before, Esterhuizen said they were looking forward to the match. “It’s true that we don’t have a lot of experience in these sorts of matches so we don’t quite know what to expect,” he said. The final will feature the top two Shield teams this season after Madibaz went through the round-robin phase unbeaten and CPUT lost just once – to their PE rivals. The Madibaz won their head-to-head encounter 38-21, but Esterhuizen said they were well aware of the attacking abilities of their opponents.